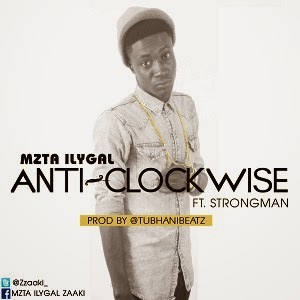 Here is a brand new single from the GhOne Next Big thing in Gh Hiphop finalist “Mzta ilygal” titled AntiClockwise. The Ghanaian rapper/dancehall artiste features his fellow mate and winner of the GhOne Next Big thing in Gh Hiphop “Strongman” on an instrument produced by the hottest producer in Kumasi TubhaniBeatz. Mzta ilygal has over time proven his versatility by fusing rap and dancehall music. He makes it refreshing to hear something different and yet so relevant. Looks like Mzta ilygal is really here to stay.